BSP or NPT 3/4” connections. BSP or NPT 1/8” pilot connection. Maximum torque: 30 Nm ( 22 lb.ft ). Thermocouple connection: M9 x 1. No minimum pressure to operate. Cut off time due to lack of flame: < 1 second. thermocouple assembly, which should be: < 45 sec. Low and high pressure versions. Injected or cast aluminum body. BSP or NPT threaded connections. Class H coils with internal use housings. 2º stage: Adjustable slow opening up to 20 seconds, from the end of stage 1, up to full stroke. Shutoff in less than one second. Optional: micro contact for closed valve verification. •Low and high pressure gas combustion equipment. •Low and medium pressure air or other neutral gases. No minimum differential pressure to operate. Injected or cast aluminium body. Buna N interior and seals. Electric connector for shielded cable with strain relief or threaded connection for 1/2” NPT pipeline. Direct acting or pilotoperated versions. Injected aluminium body. Stainless steel or aluminium die-cast bonnet. BSP or NPT threaded connections. Buna “N” seats and diaphragm. Encapsulated coil. DIN 43650 Connection. IP65 and NEMA 4 Protection. Quick or slow opening adjustable up to 10 sec. Closure in less than 1 second. Optional:microcontact for closed valve verification. Normally closed. Direct acting. No minimum differential pressure to operate. when the electric signal is on. DIN 43650 Connection encapsulated coils. IP65 and NEMA 4 Protection. Closed or open valve viewer. Response time < 50 milliseconds. • Energized coil indicator light. • Weather proof coils and housings. • Explosion and / or weather proof coils and housings. 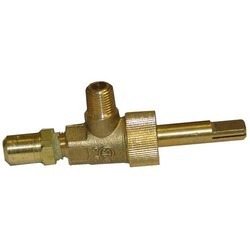 Looking for Jefferson Combustion Valves ?